This useful design combine post-it notes with cute patterns and cardboard penholder fixed easily. 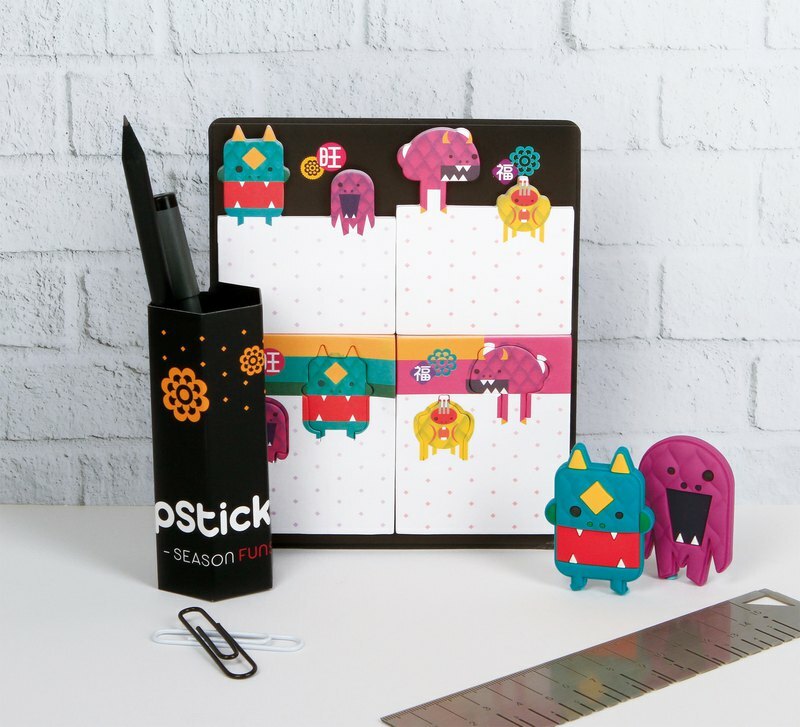 This design not only combines post-it notes with cute patterns and cardboard penholder fixed easily, but also makes cute nien-monsters “stand” on the post-it. Everyone could take a message gently when picking up the phone and feel interested in taking note in the class or office. **- Product Specifications : ** √ The Monster action-figure "Nien" waking up on Chinese New Year Eve can be folded up and enliven the dull office. √ Four cute-pattern post-its contain totally 80 sheets. . √ The cardboard cover of Post-it could be rolled and fixed without adhesive. **- Material :** Paper **- Product Size : ** (W) 13.3 cm x (H) 15.8 cm x (D) 0.4 cm **-Country of Origin :** Taiwan **- Additional Information :** Please allow for some variation in color between different devices and screens. Actual colors may vary. Photos are for illustrative purposes only. The actual product may vary. **- Shipping Notice:** 1. Our shop processes orders **from Monday to Friday**. All orders placed on weekends will be shipped on Monday. 2. If you require faster shipping time, please send us a Pinkoi message.